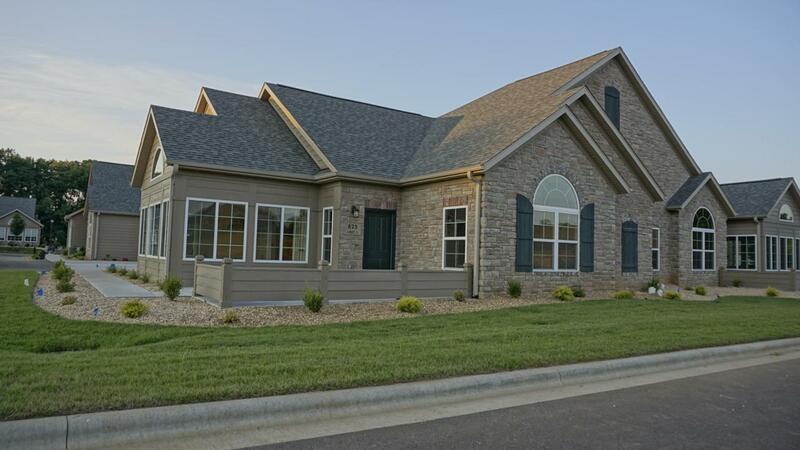 If a carefree, luxury lifestyle is what you're after then look no further than the Villas at Wicklow in Nixa, Missouri. In the Abbey, everything is exactly how and where you want it. An intelligent, integrated living space provides the room you want with the flexibility you need. Two oversized bedrooms, expansive bathrooms, and a large storage room enable you to grow into your new home without the fuss and frustration of conventional homes. Kick back in a multipurpose sunroom fit for any occasion and all four seasons. Enjoy step-free living from the moment you cross the threshold into your home. Experience the satisfaction of having smart storage features always within reach. Maintenance free living means you can enjoy the benefit of owning a home without the perpetual stresses of exteriormaintenance. Residents can relax and live a life of leisure knowing a professional association is handling all of their home's exterior upkeep including yard work, landscape, and snow removal. Within the community, social, recreational, and fitness activities revolve around its 3,000 square foot, multi-purpose clubhouse. You can relax at the outdoor swimming pool, socialize and unwind with friends in the community great room, or meet fitness goals in the workout room, which features the latest exercise and training equipment. Countless community events and interests groups meet regularly to socialize and promote lifelong friendships with neighbors.